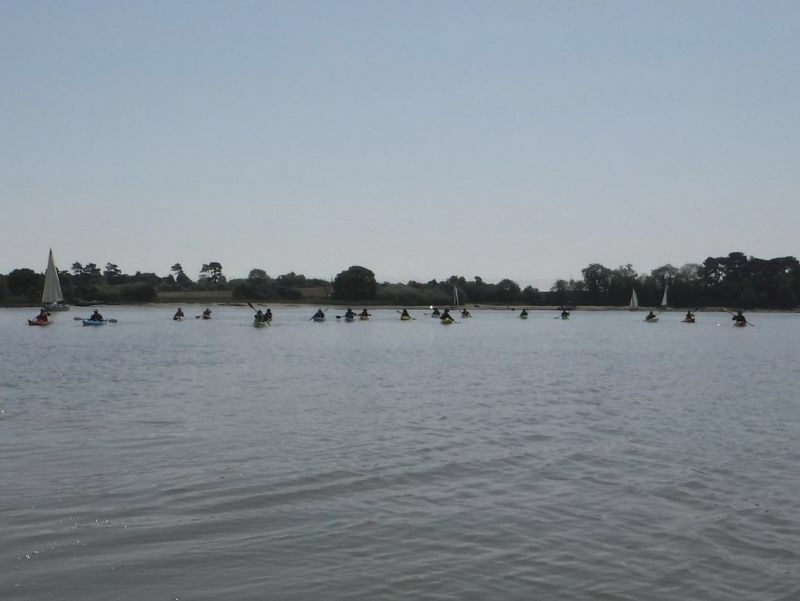 A lovely paddle on a glorious day for the first meet of the British Canoeing East Region Touring Group. 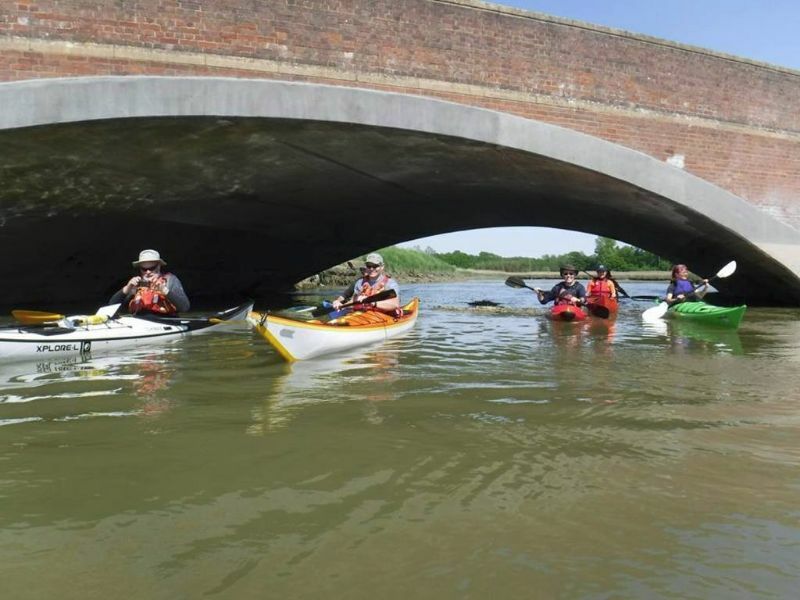 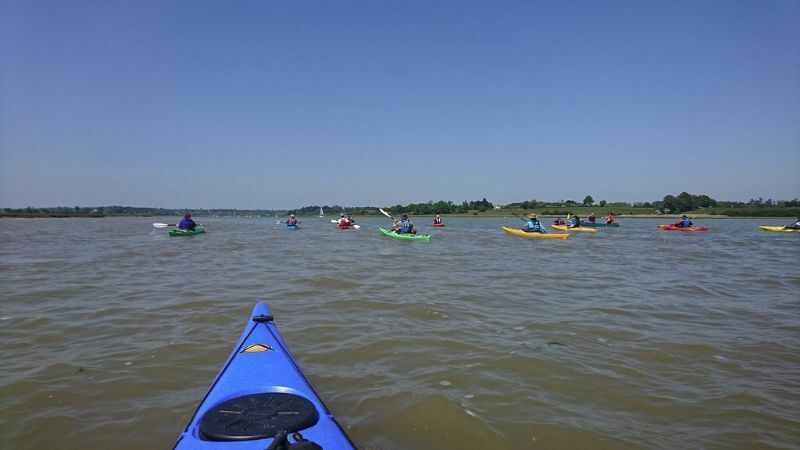 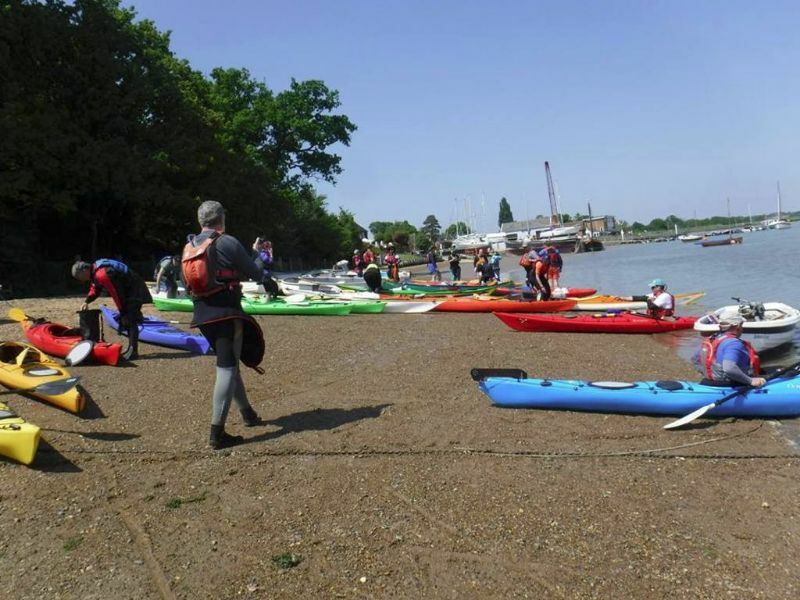 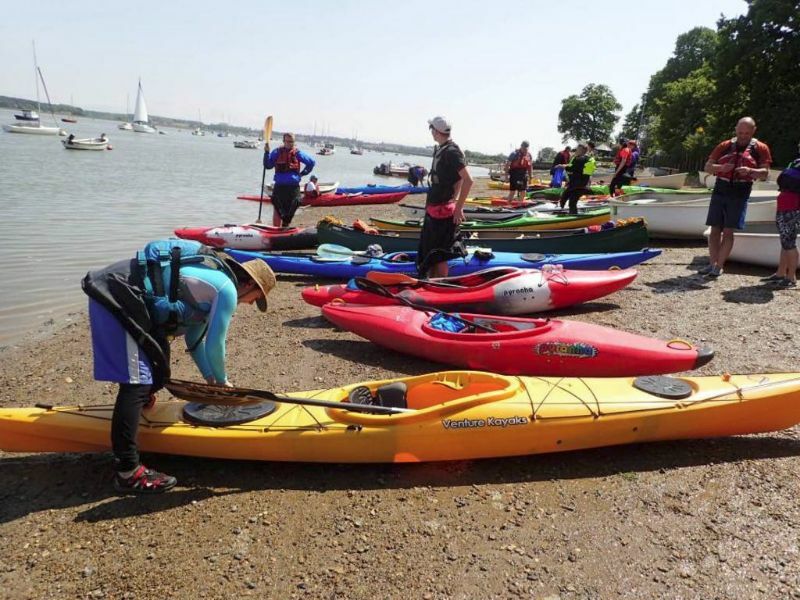 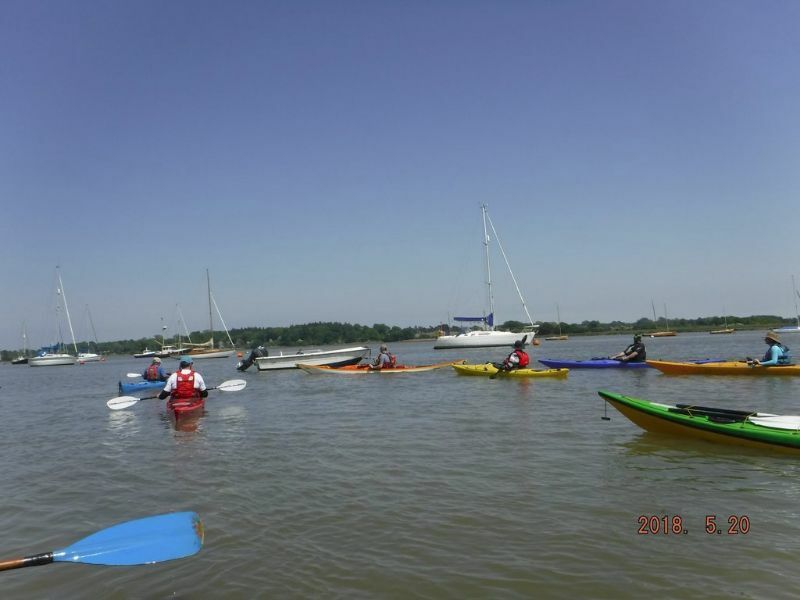 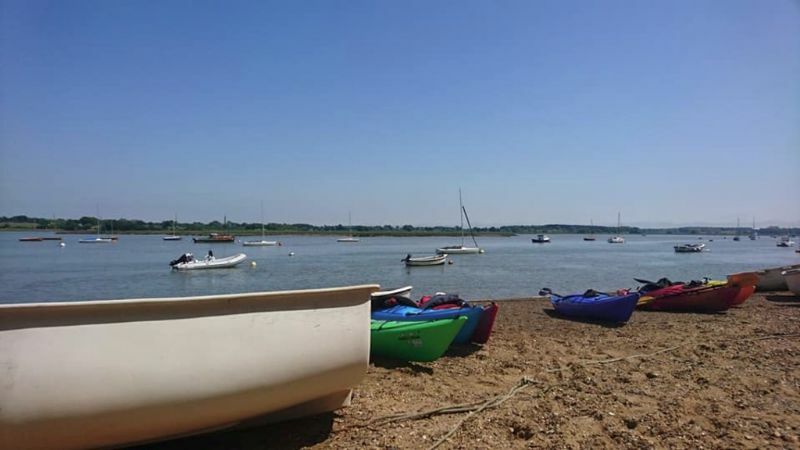 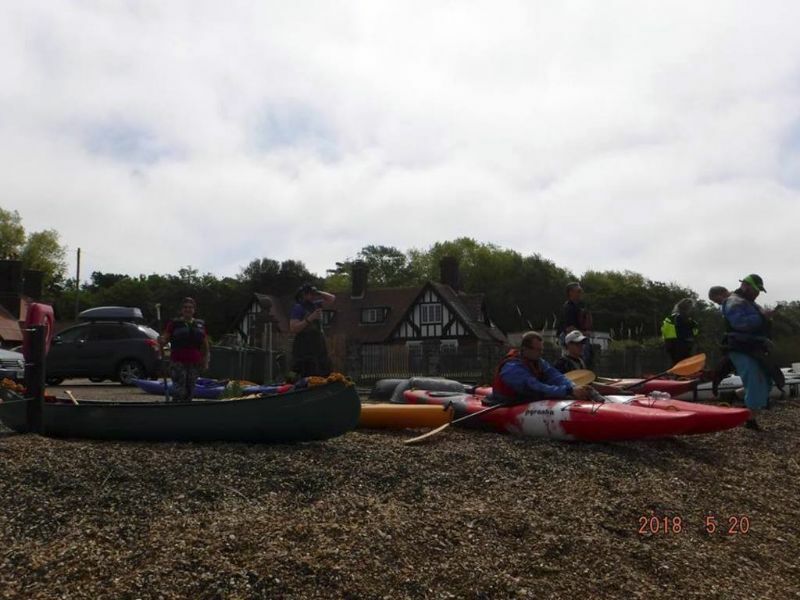 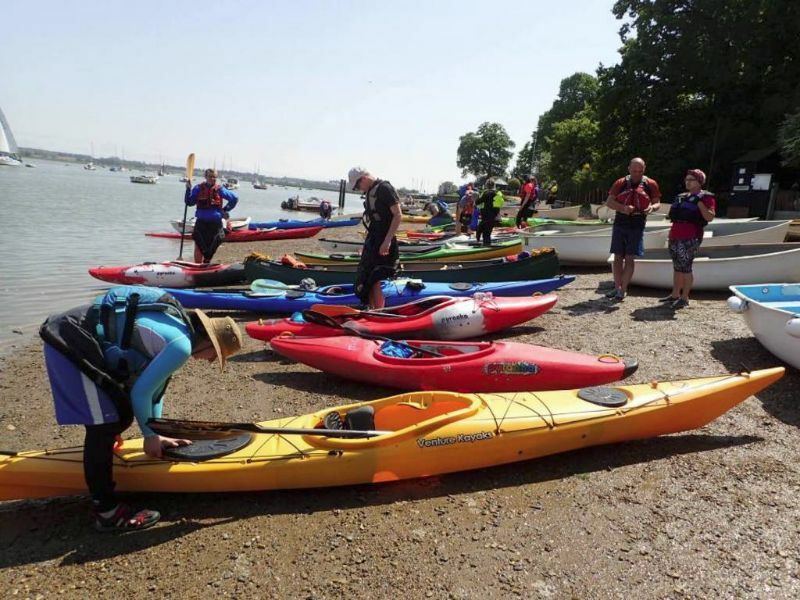 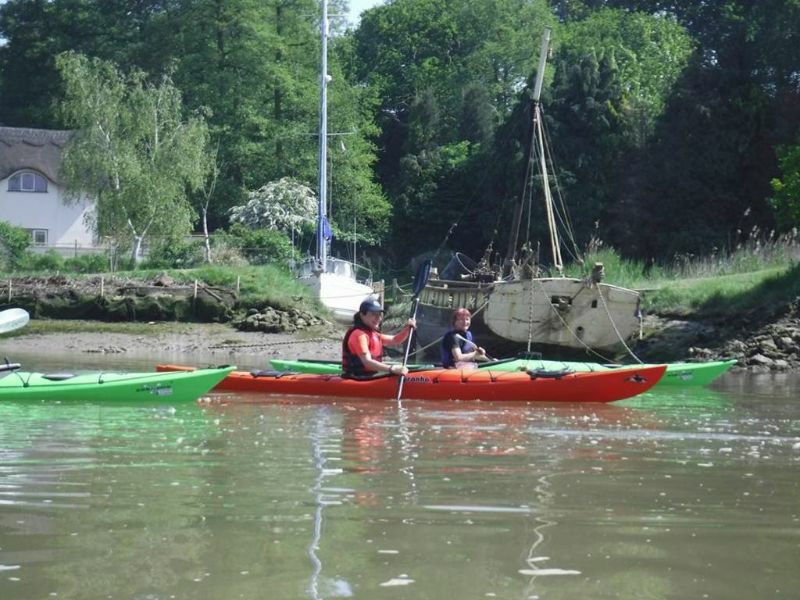 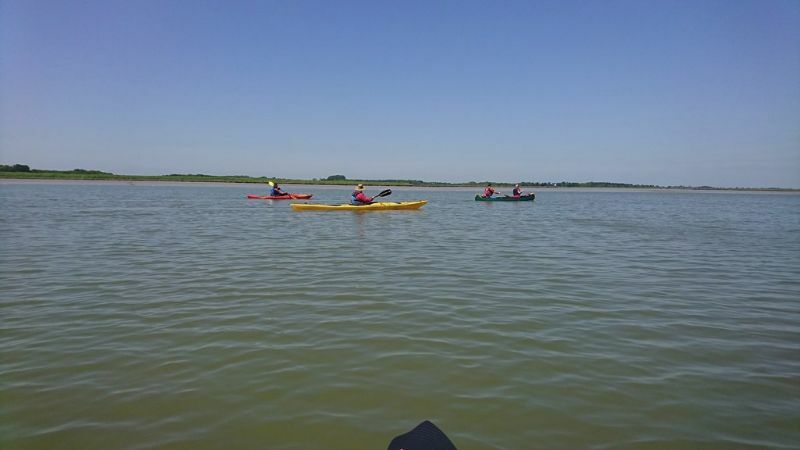 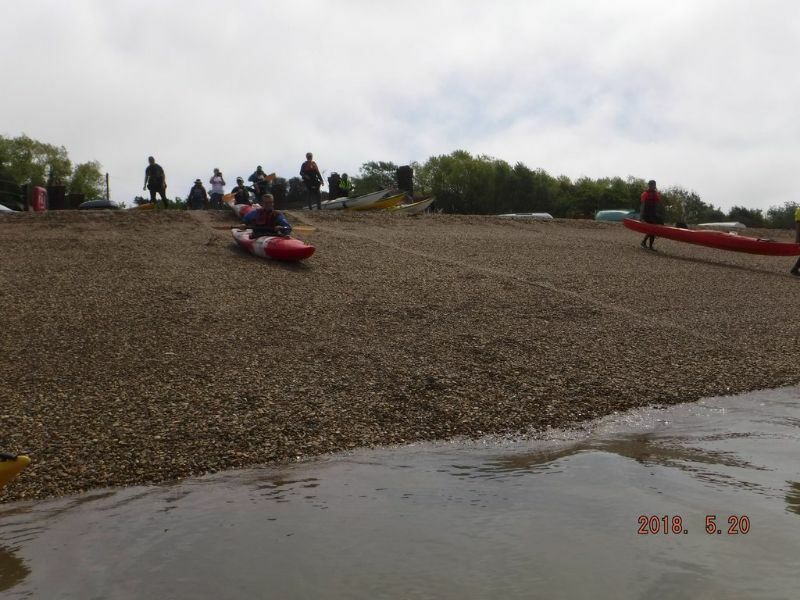 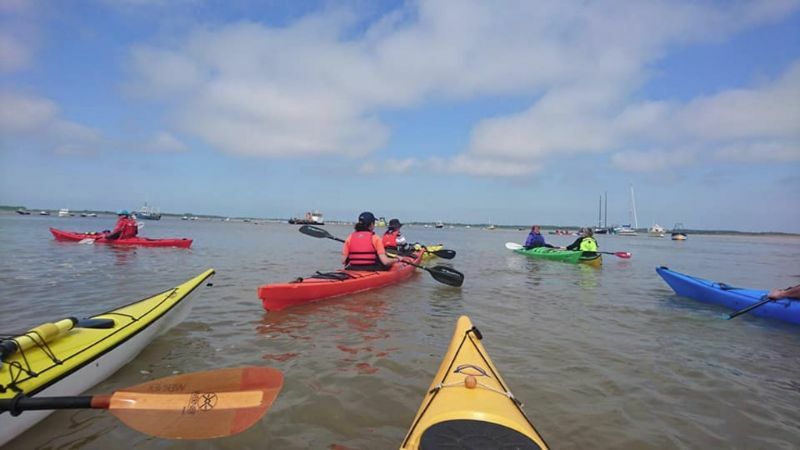 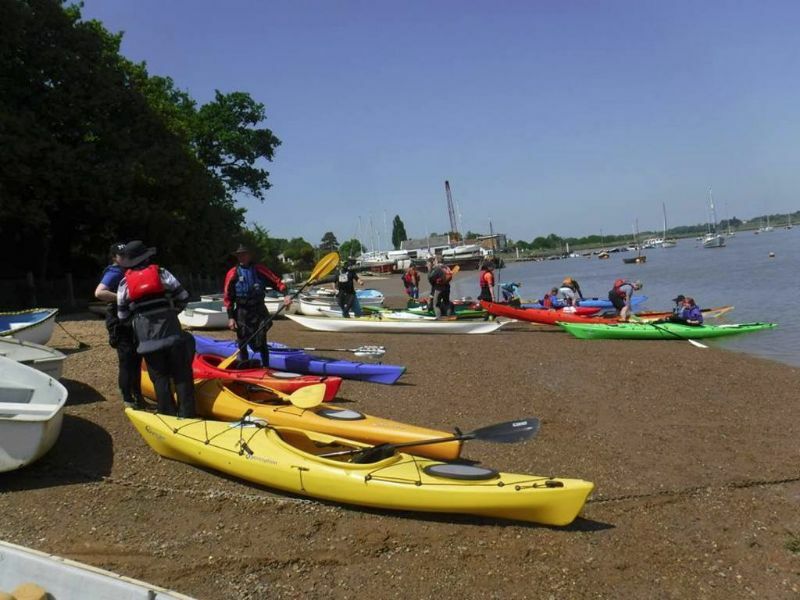 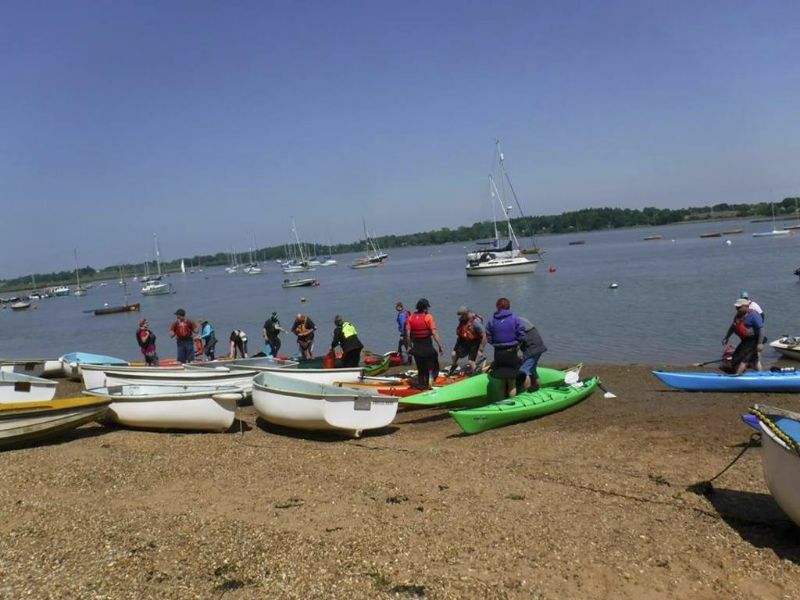 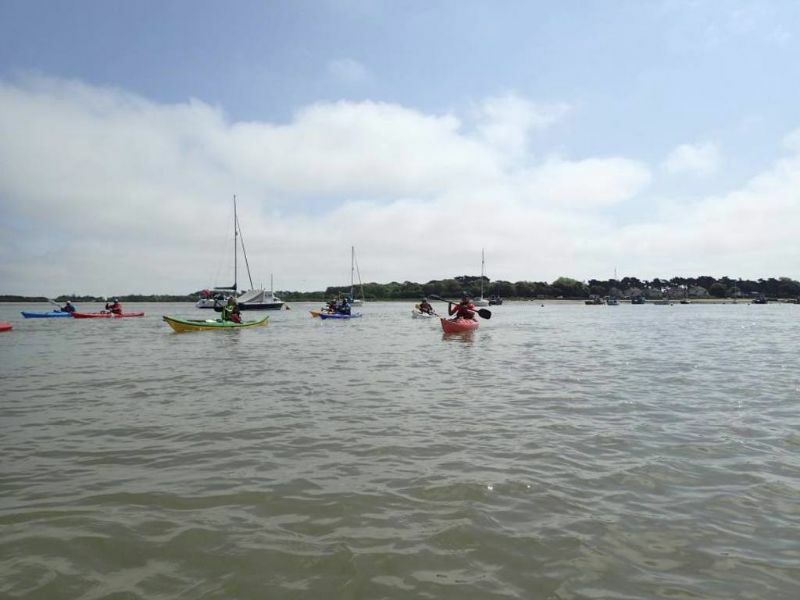 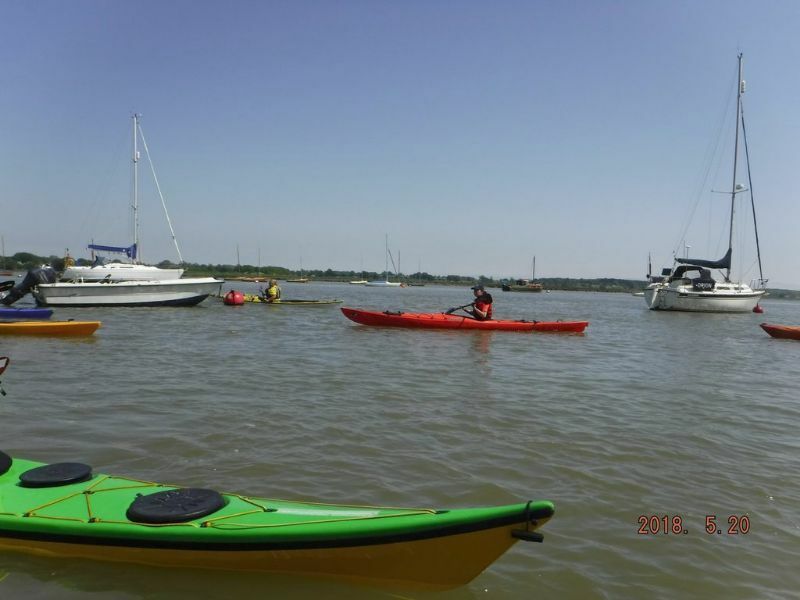 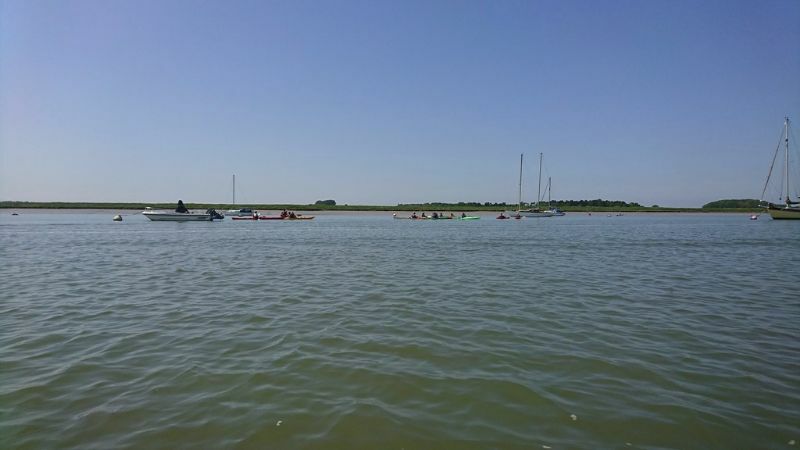 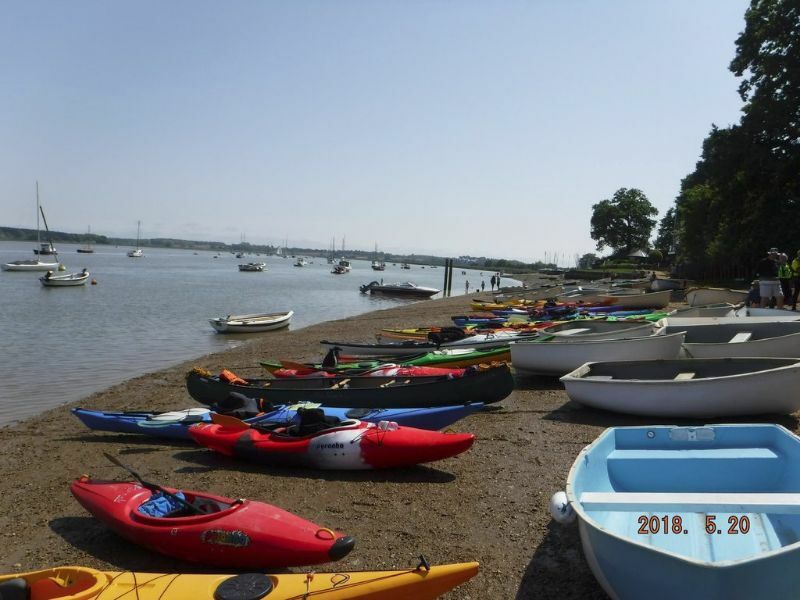 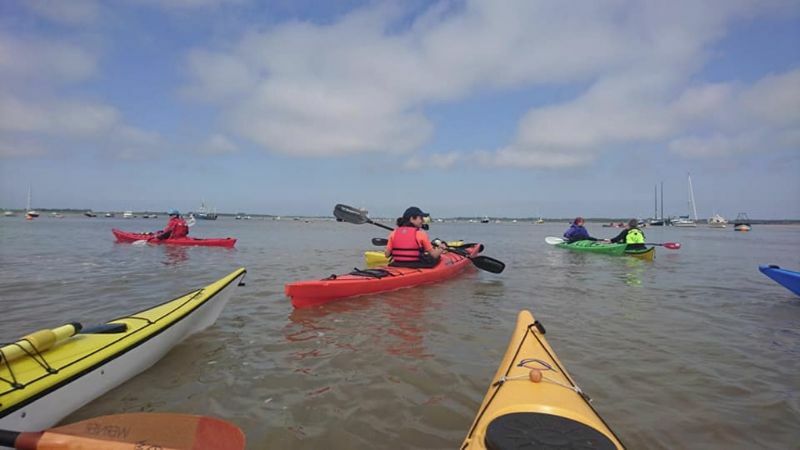 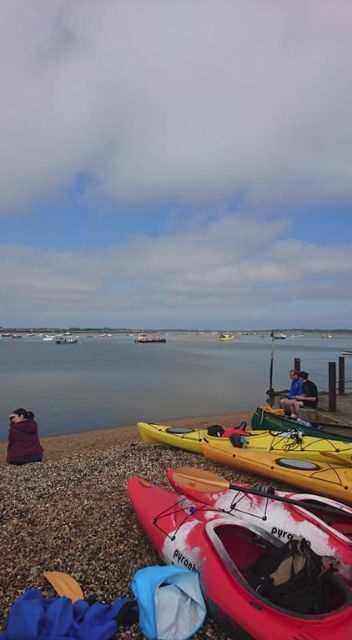 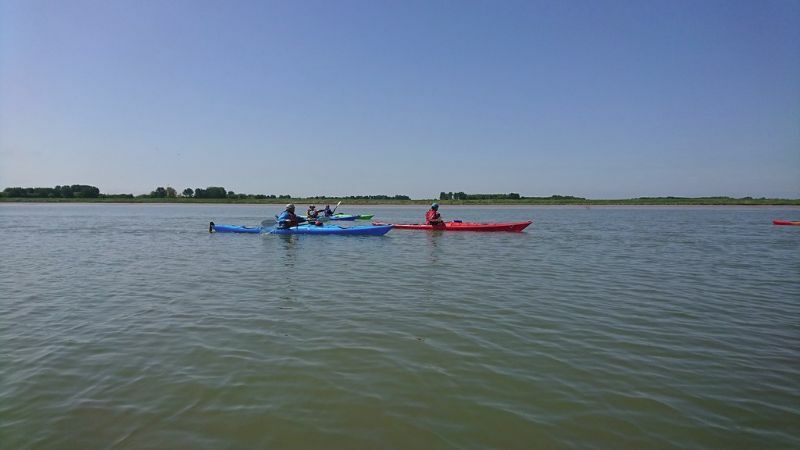 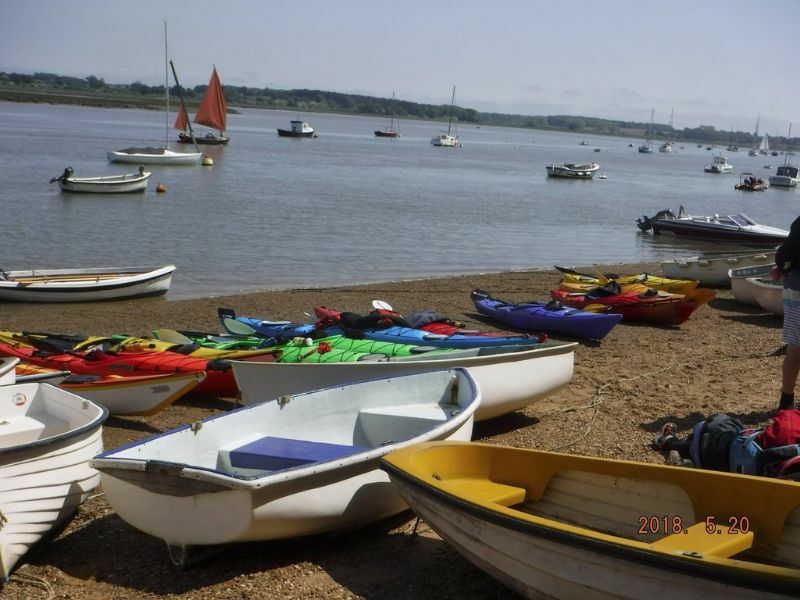 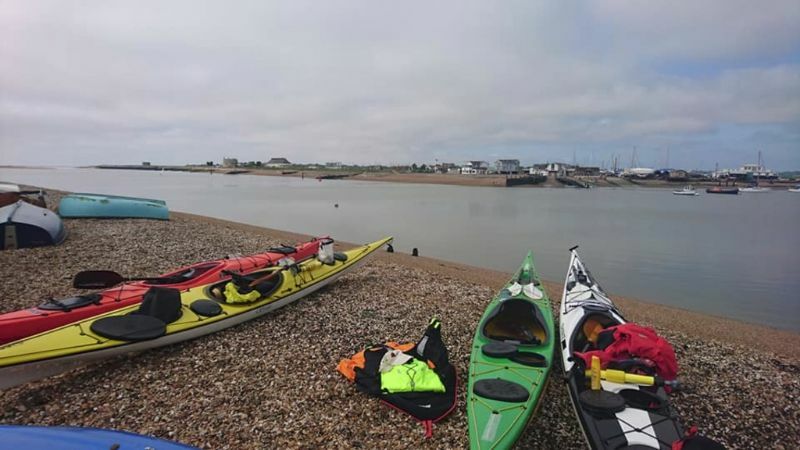 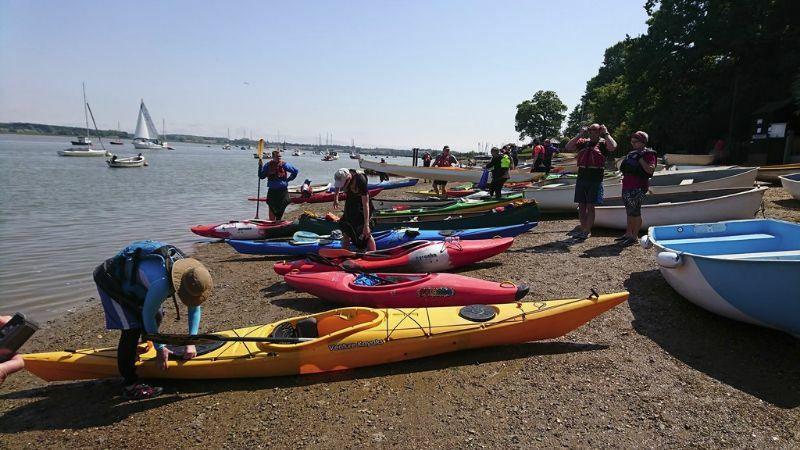 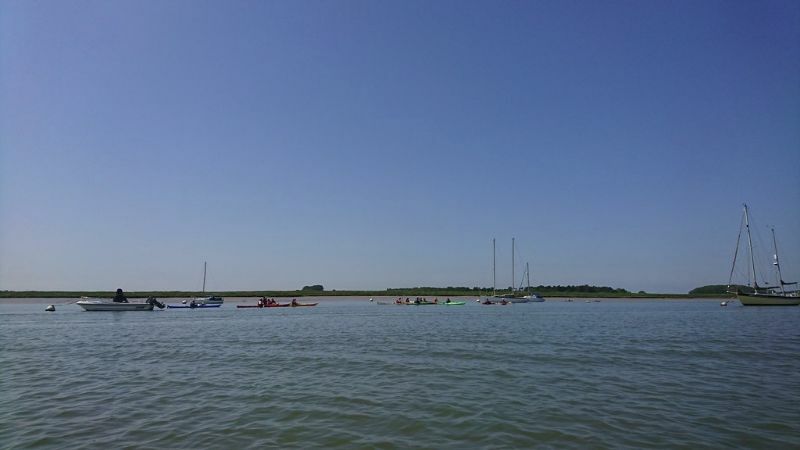 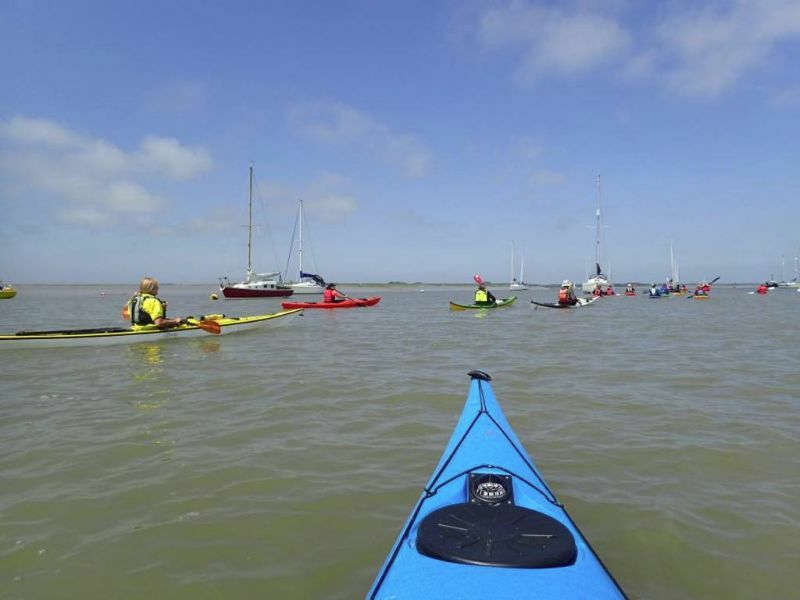 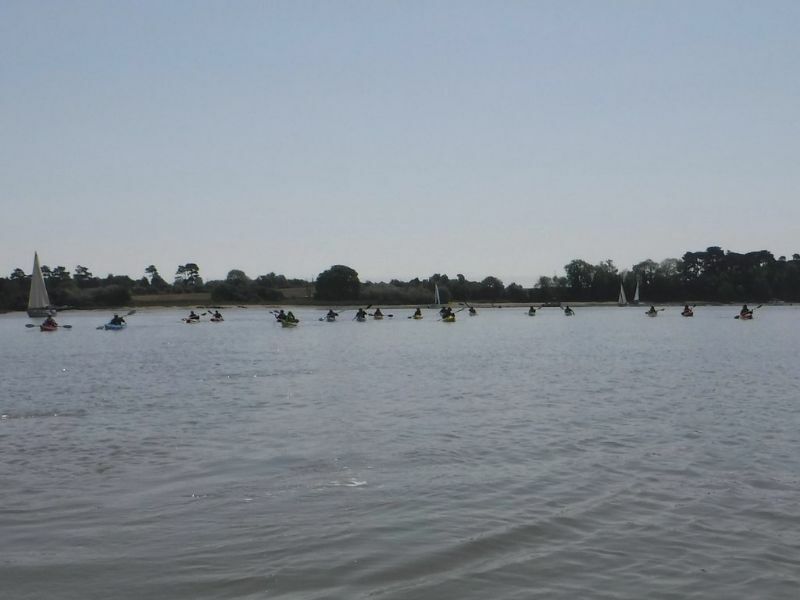 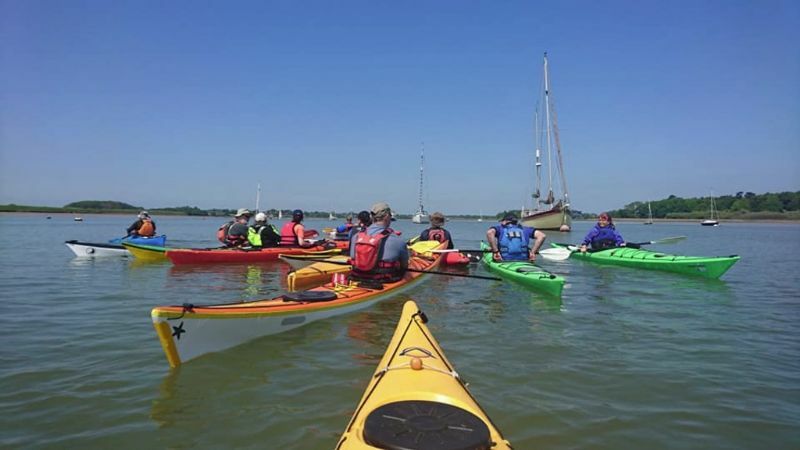 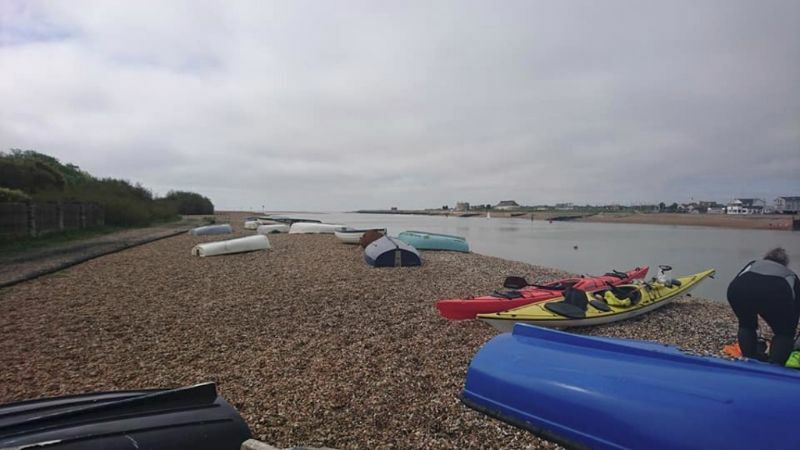 There were 19 boats (20 folk) on the water from Deben, Colchester, Tendring and Huntingdon Canoe Clubs. 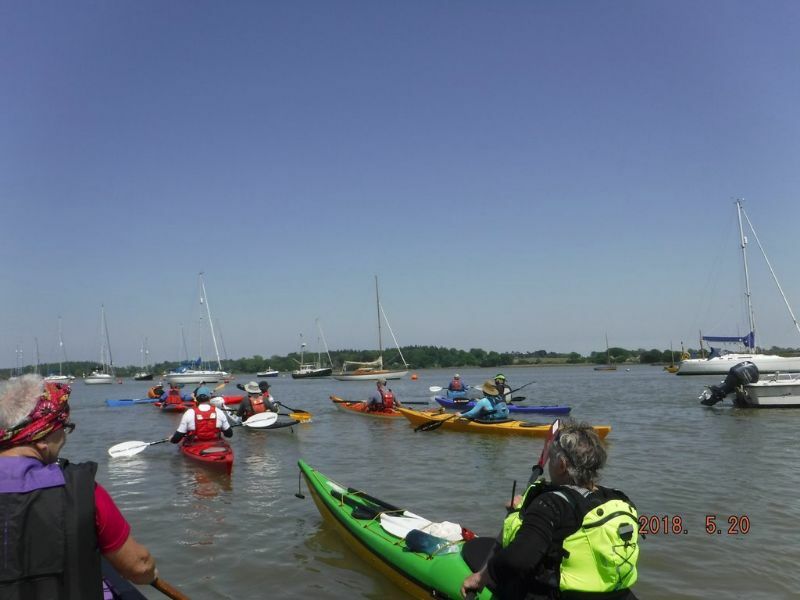 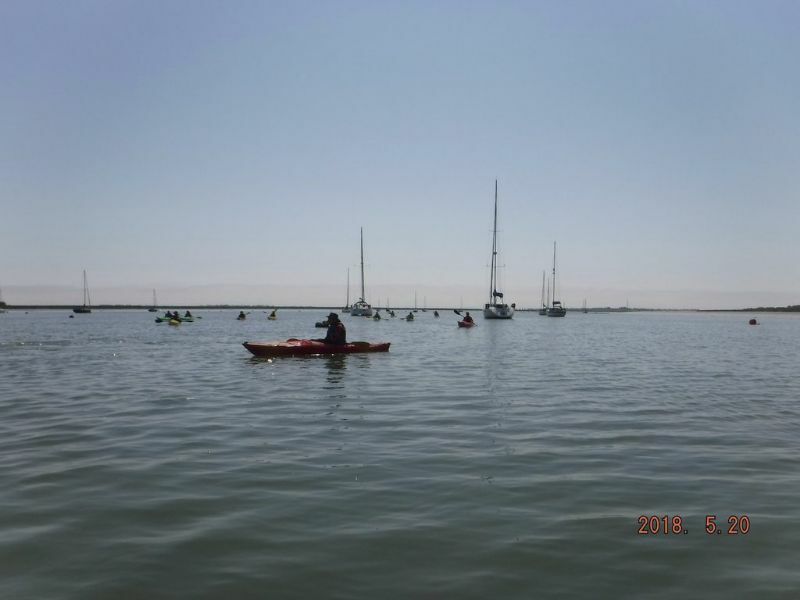 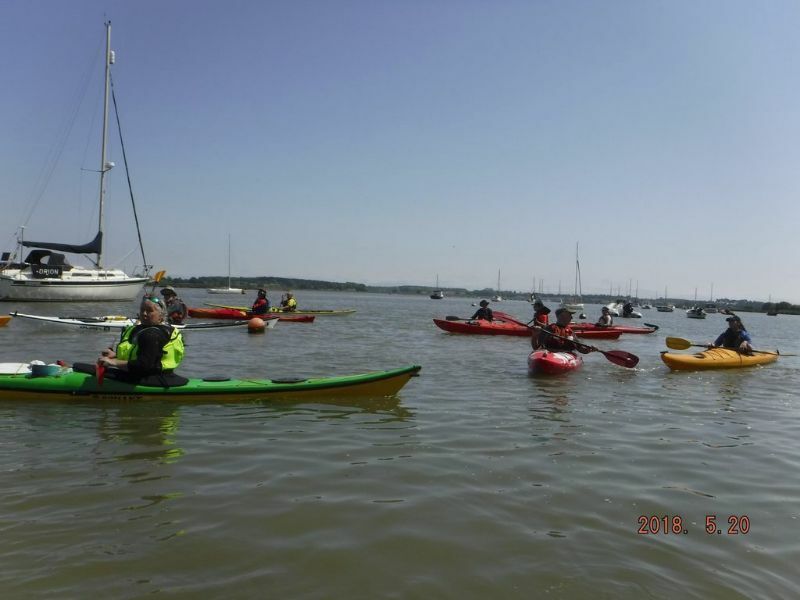 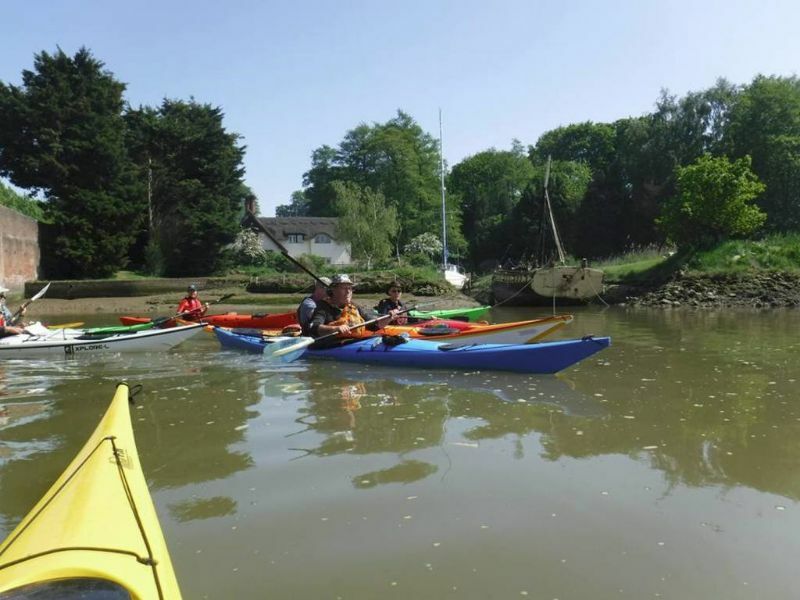 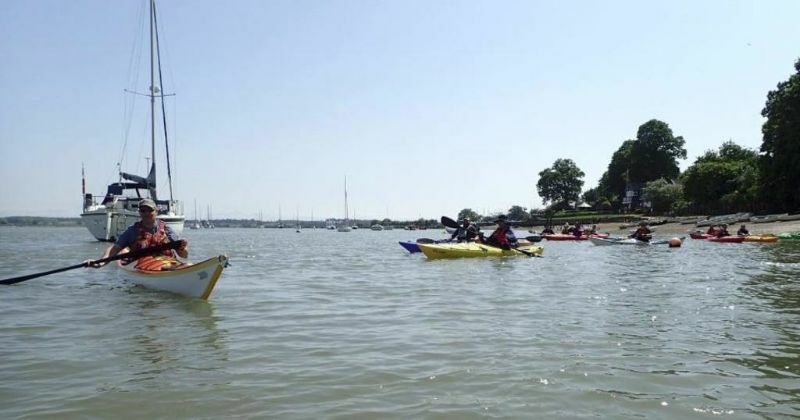 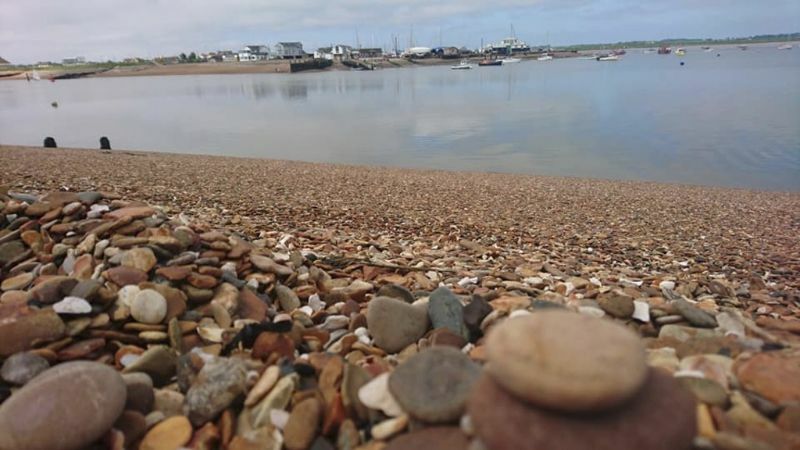 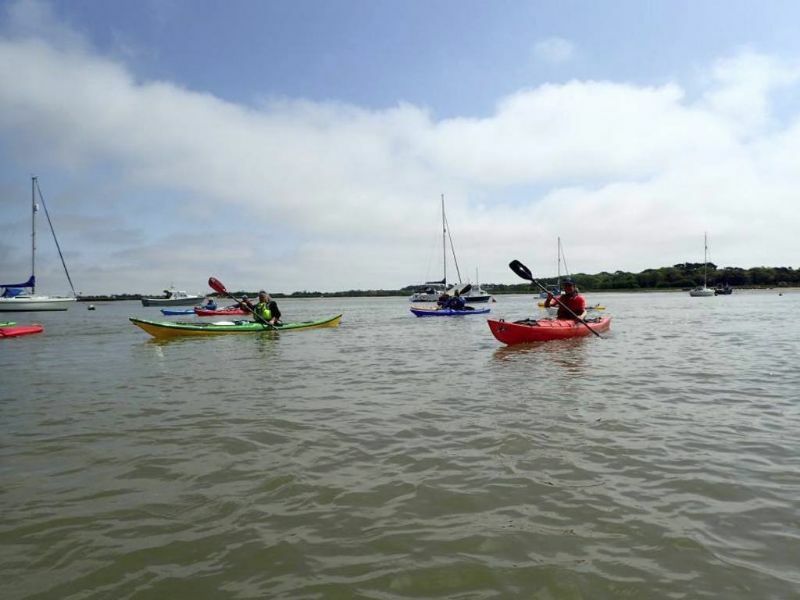 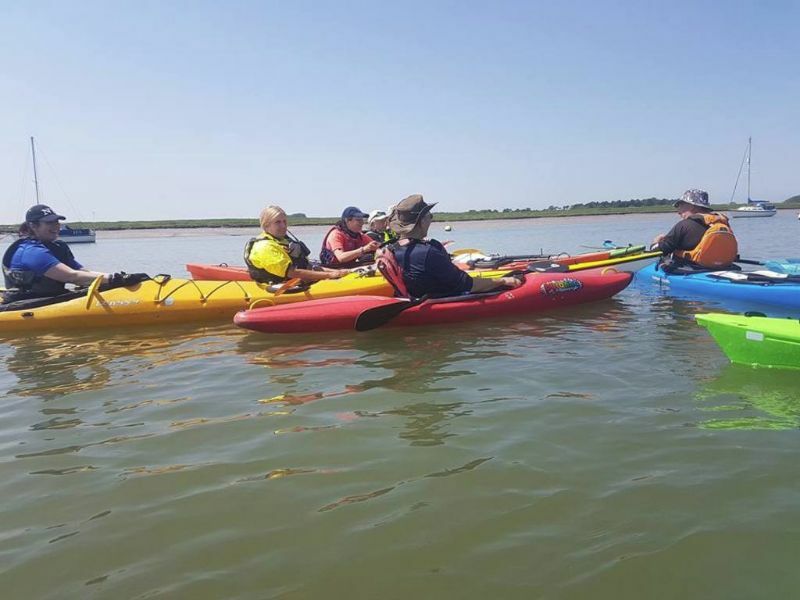 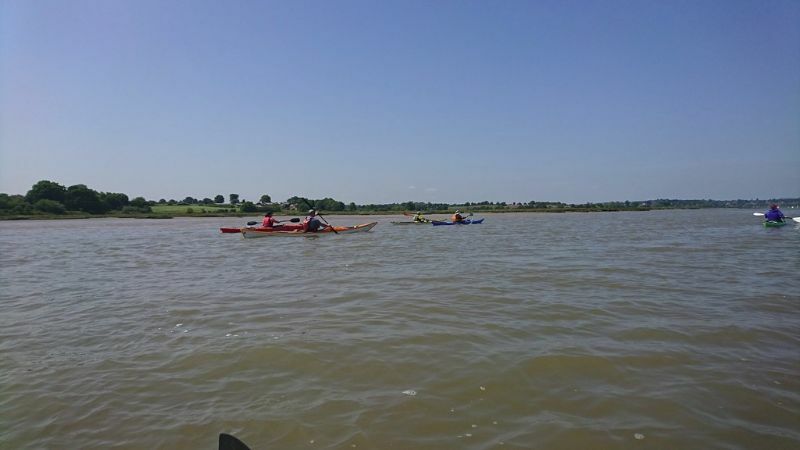 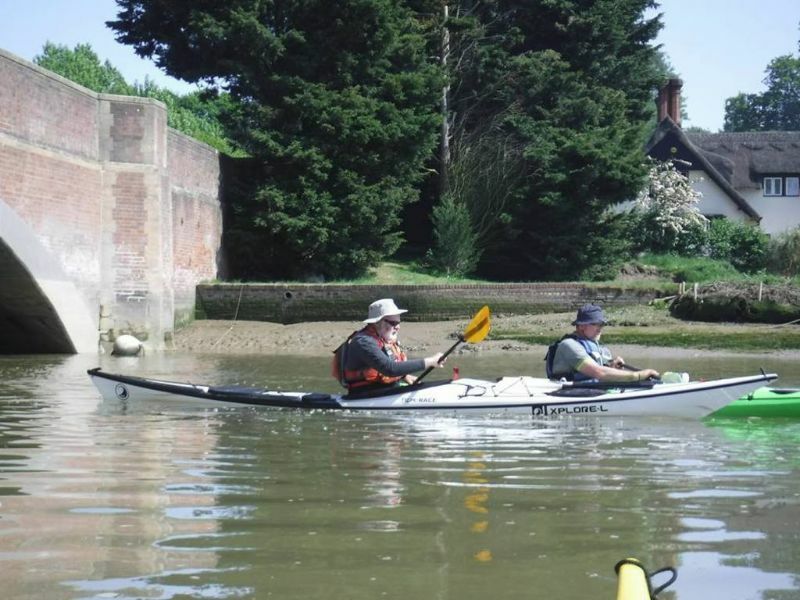 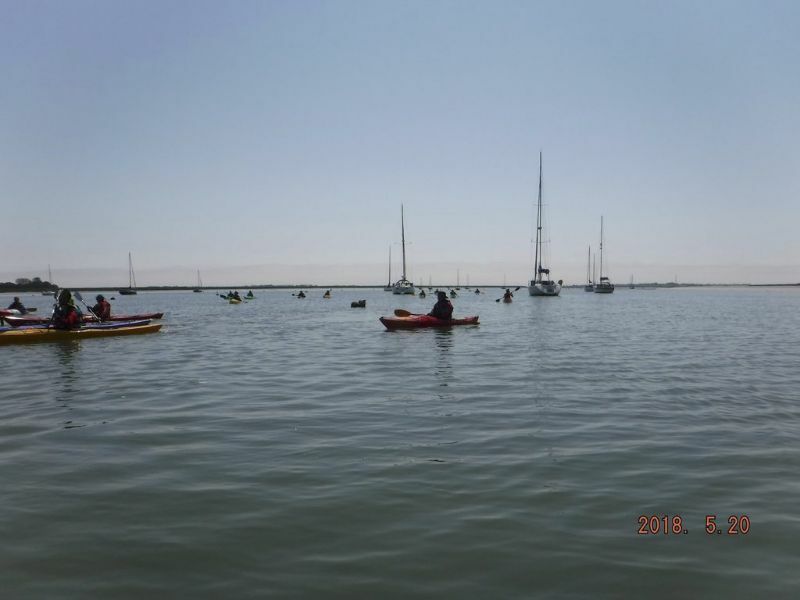 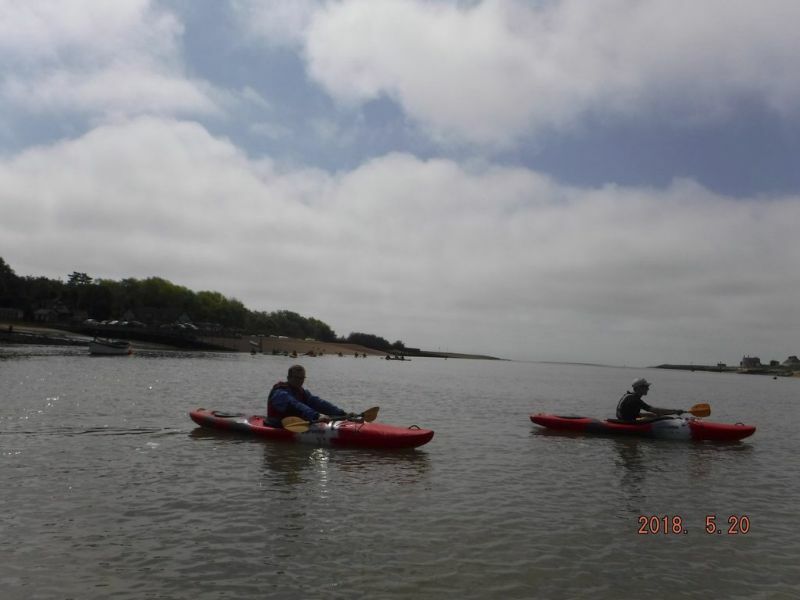 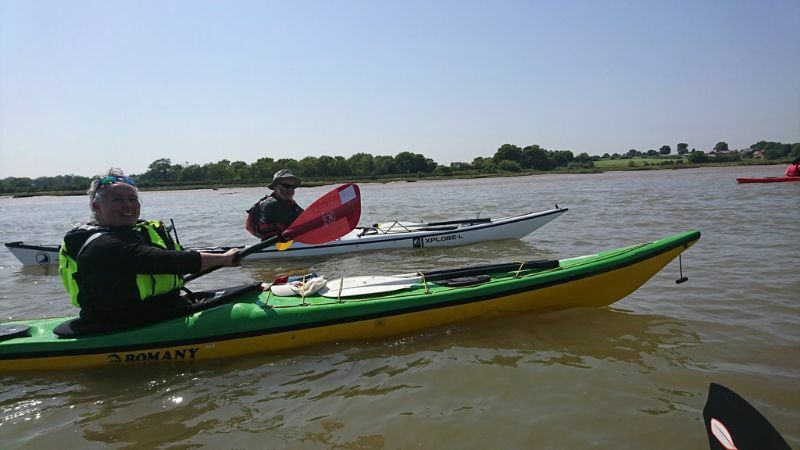 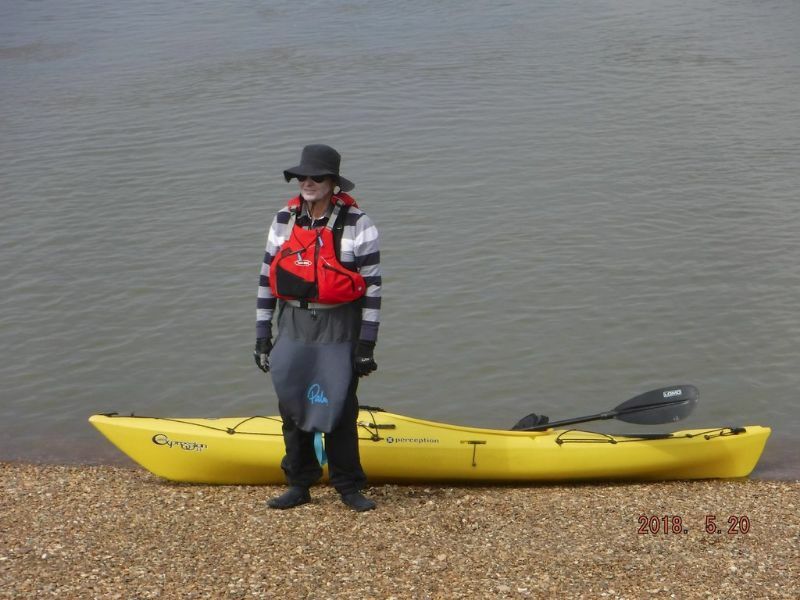 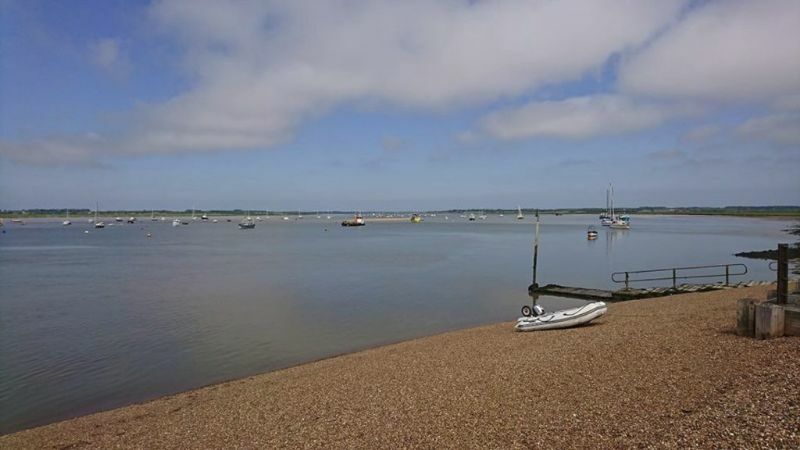 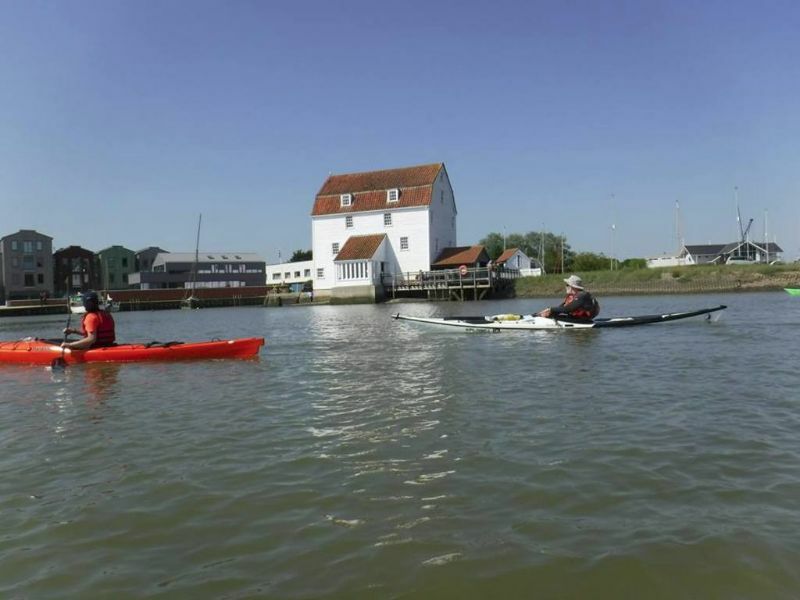 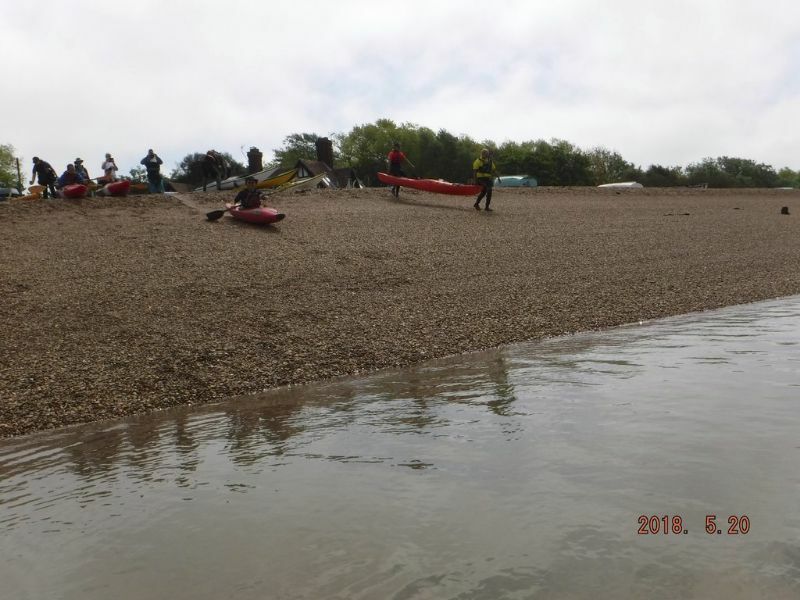 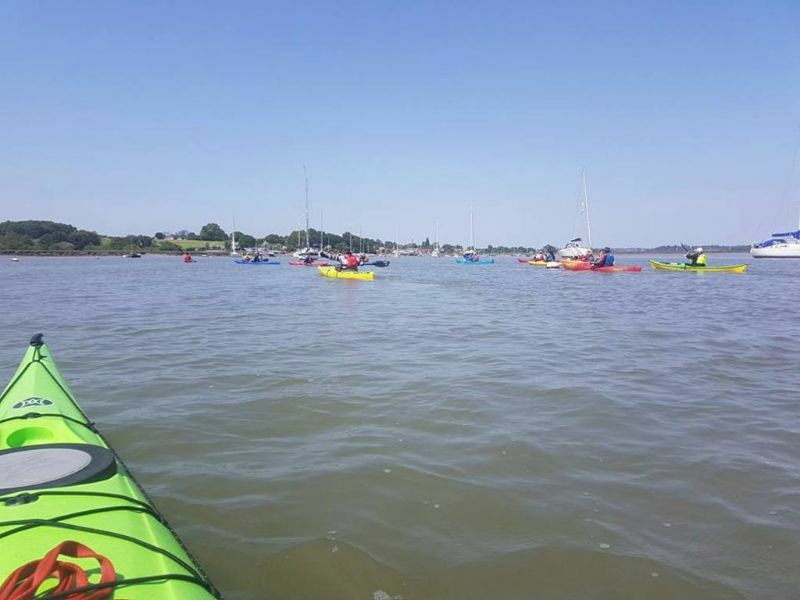 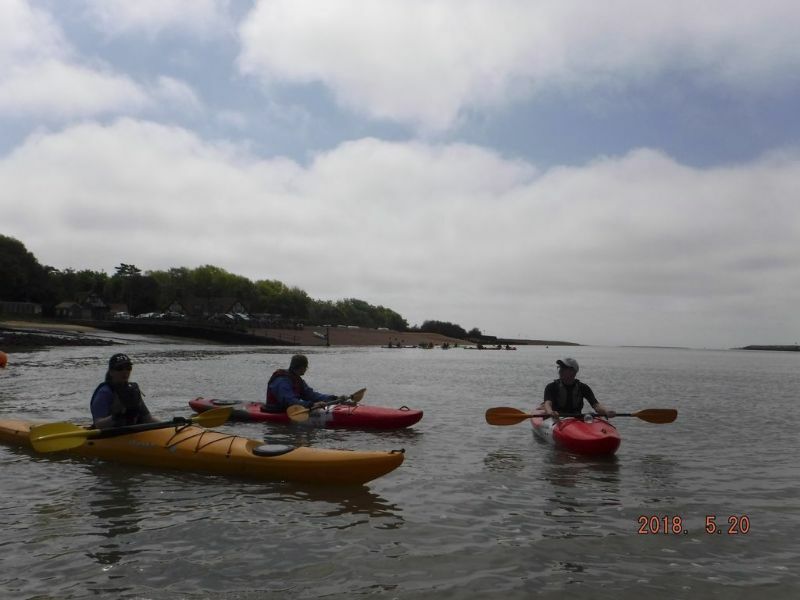 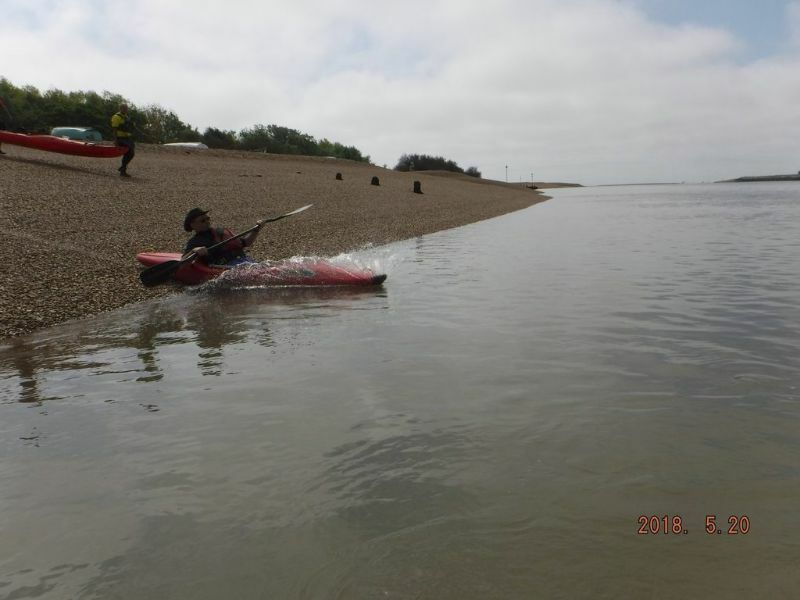 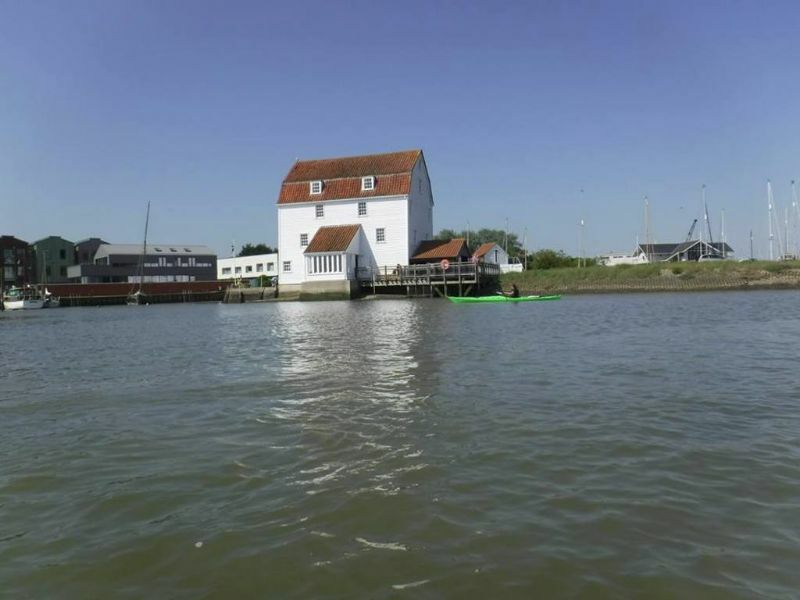 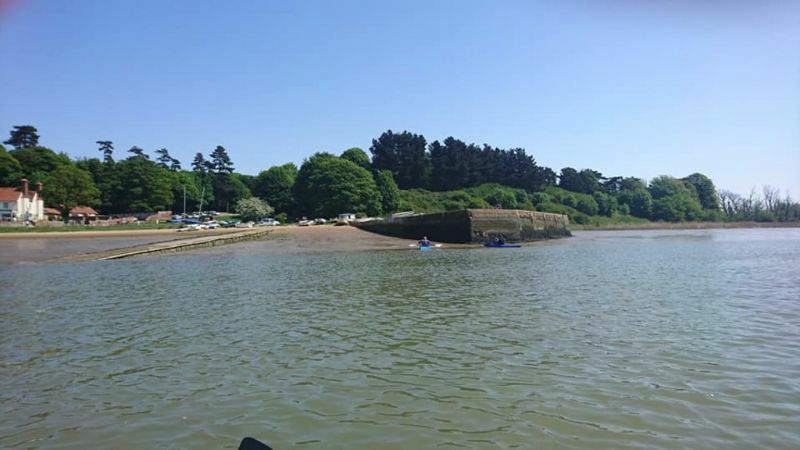 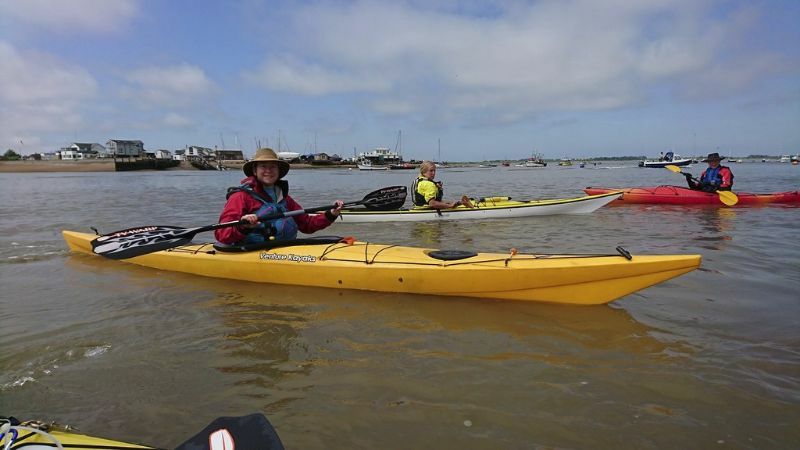 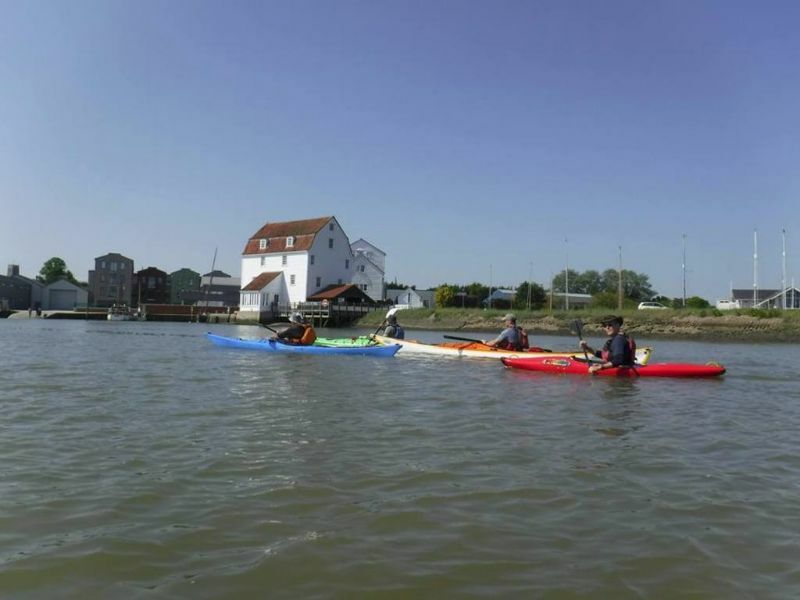 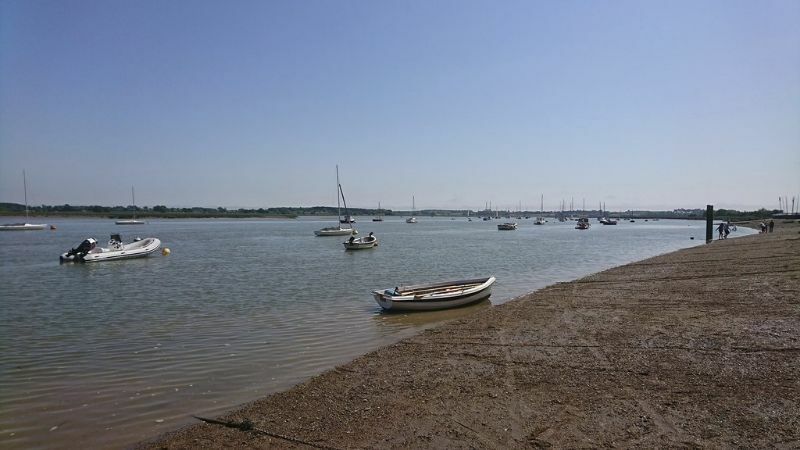 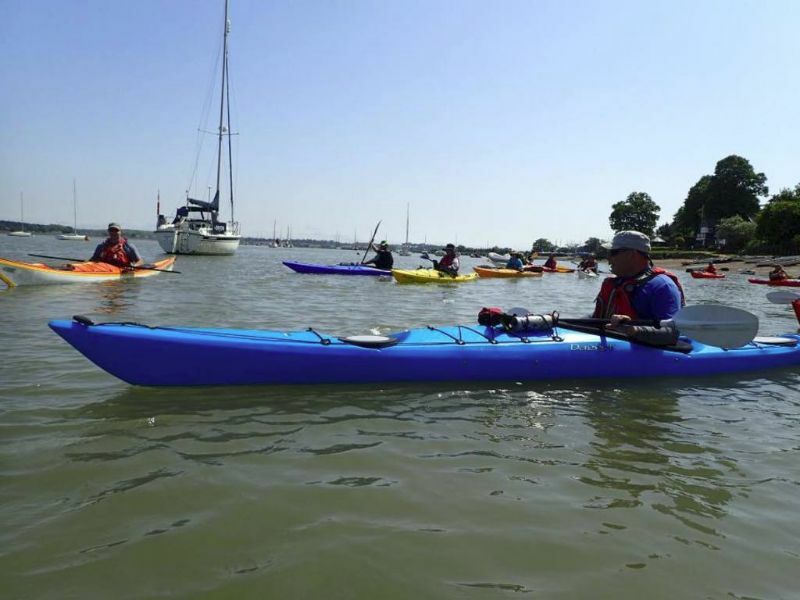 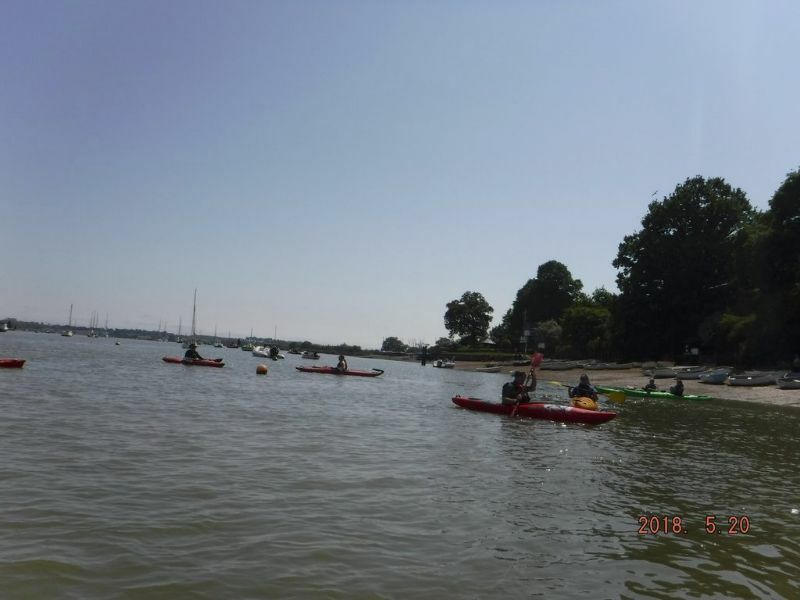 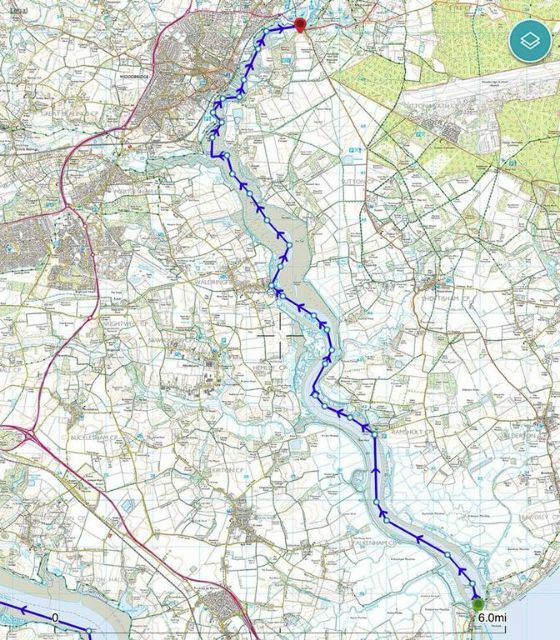 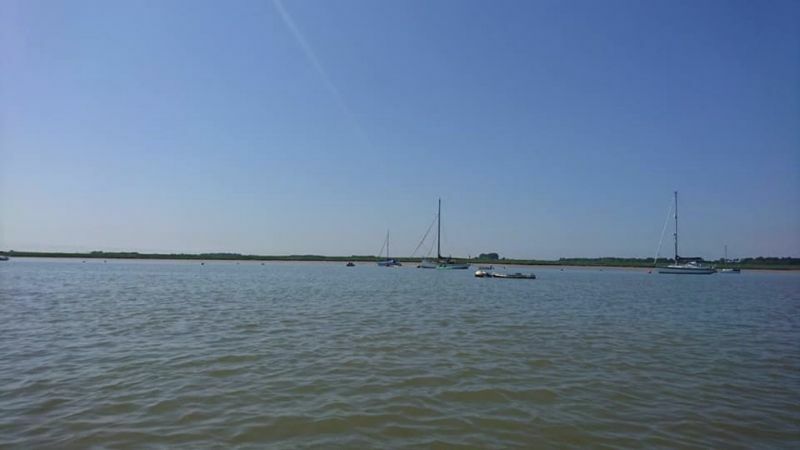 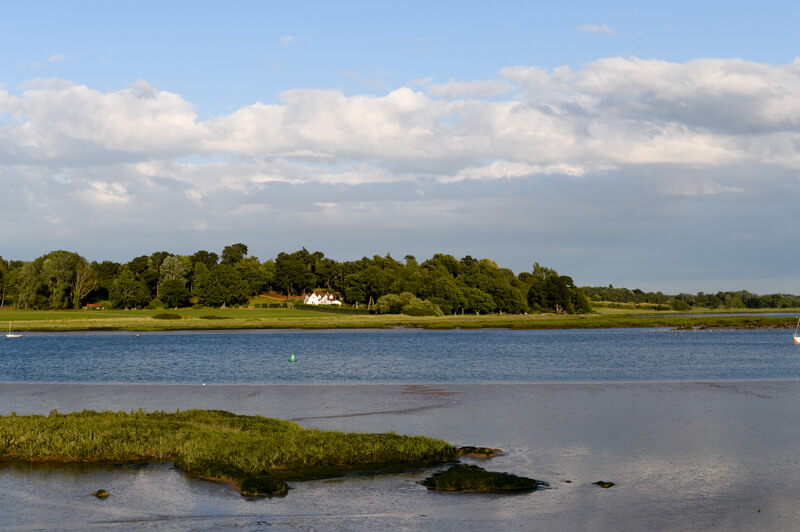 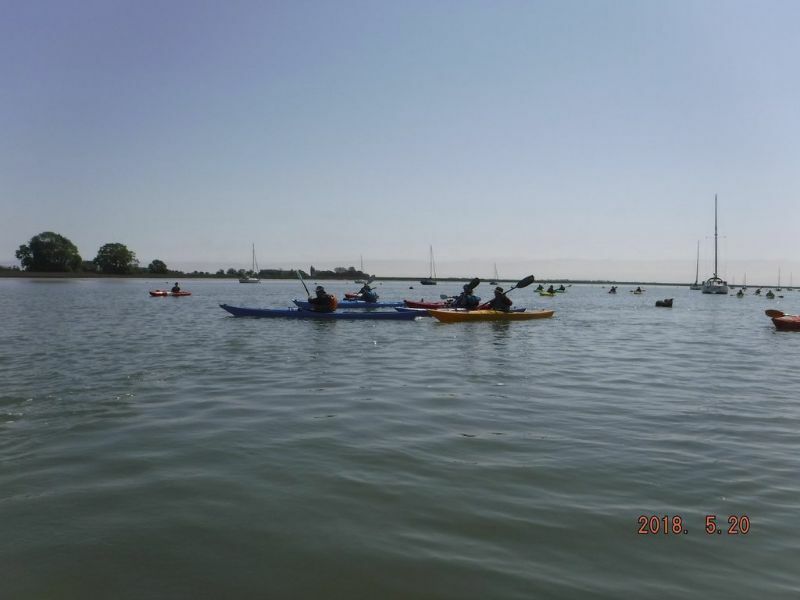 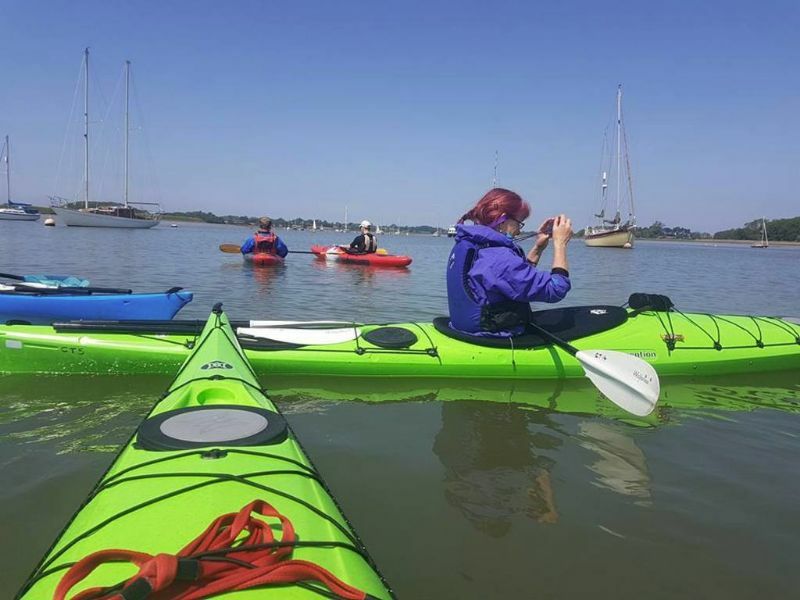 The was 8.71 miles from Felixstowe Ferry to the steps at Woodbridge, with some paddling further upstream to Wilford Bridge and back, which made it a total of 12.4 miles, with a reward of a sighting of a seal! 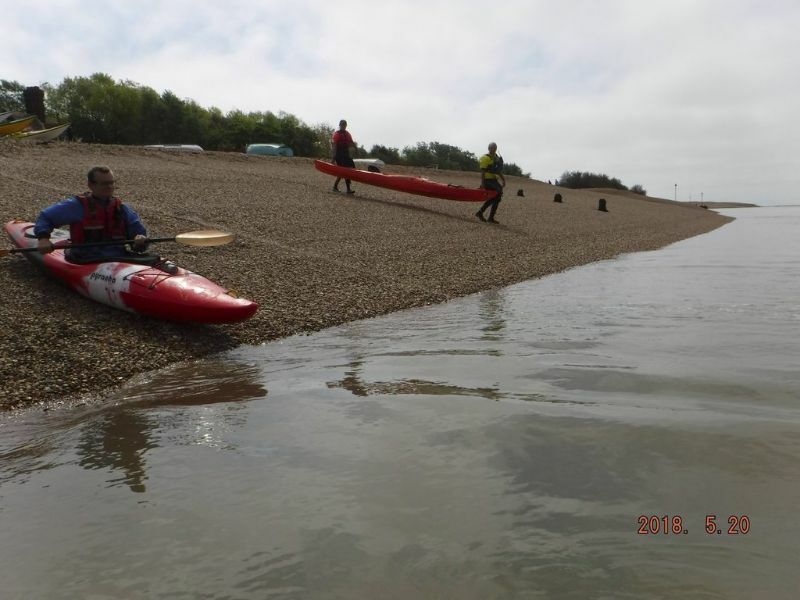 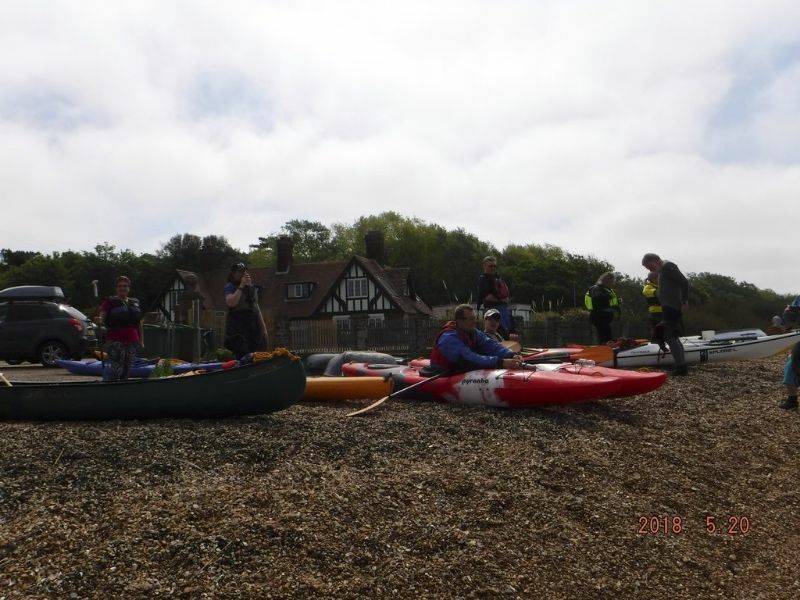 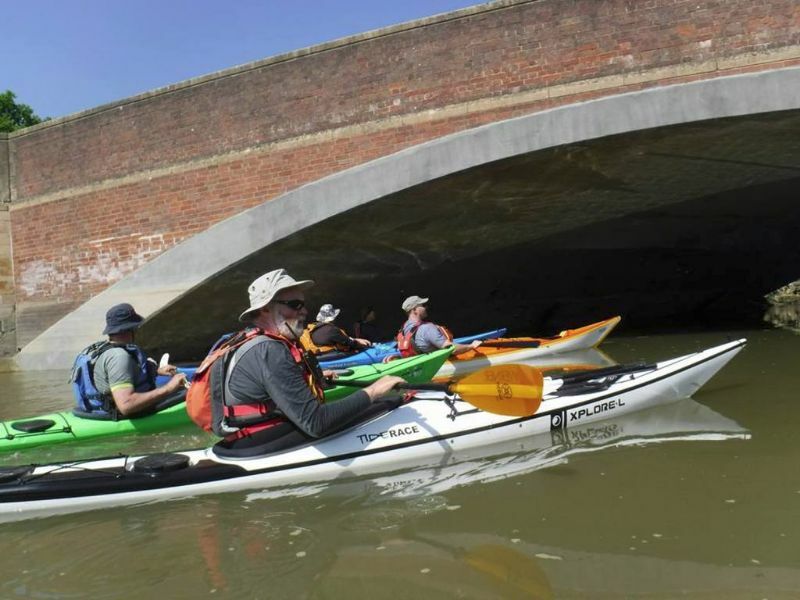 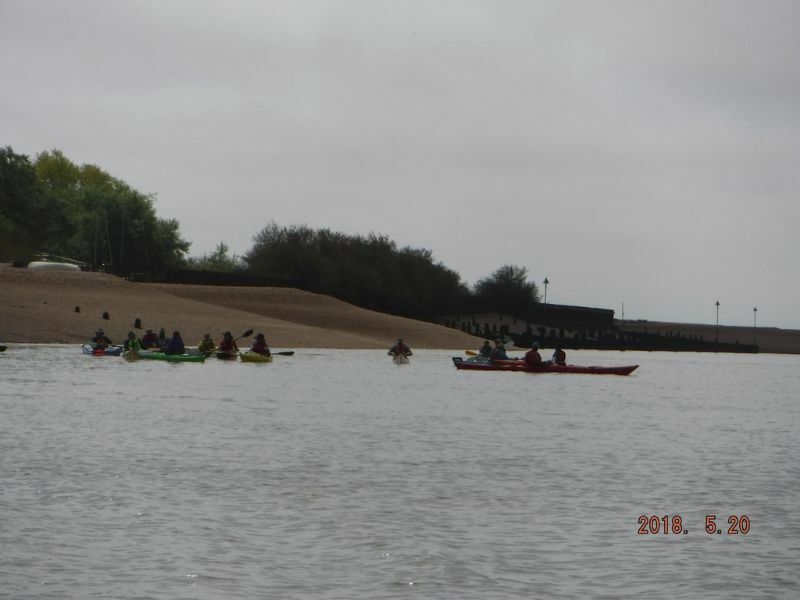 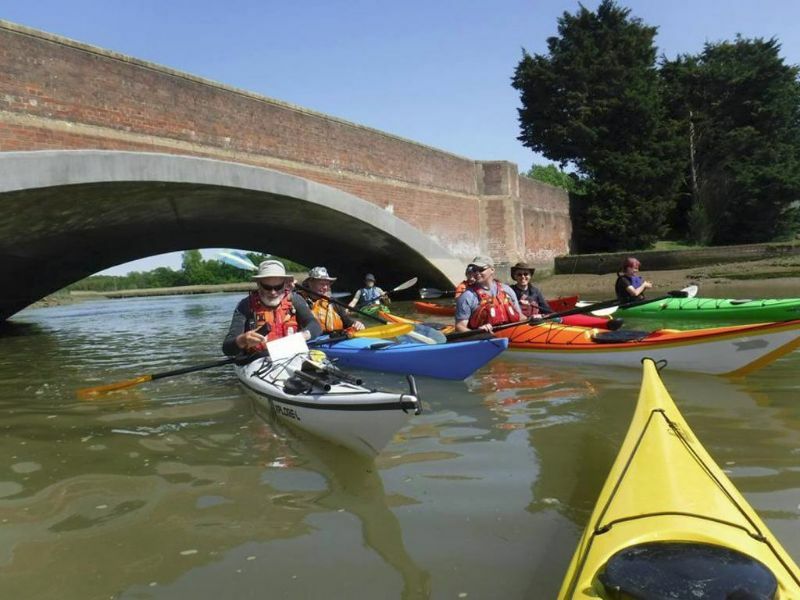 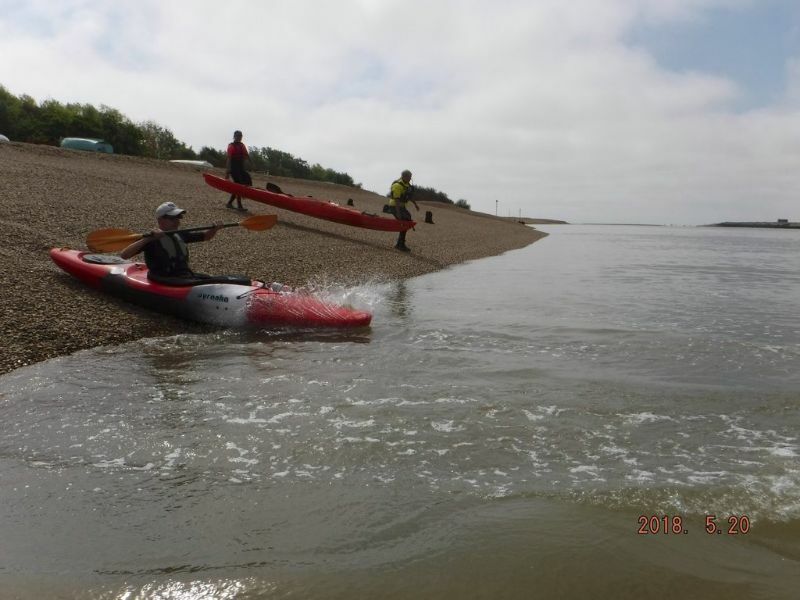 This paddle was organised by Tim Midwinter from Deben CC. 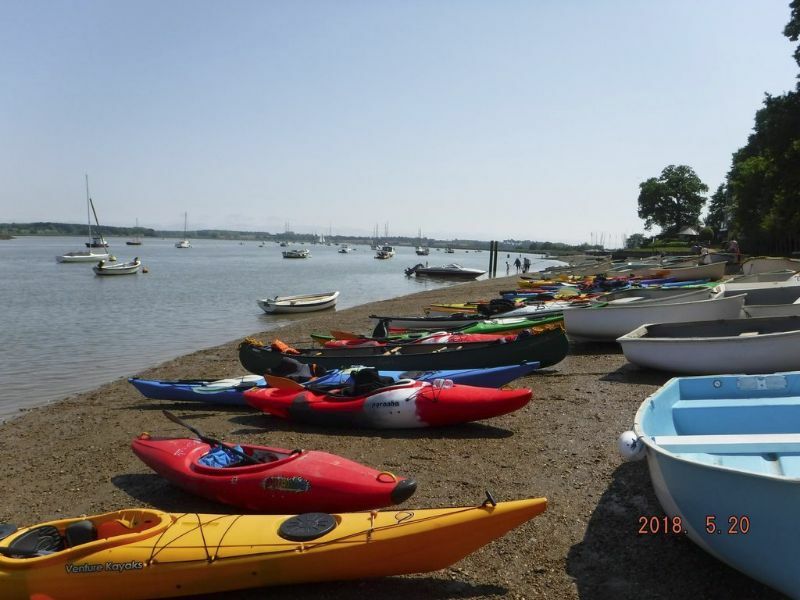 The next, on 17 June 2018 is being organised by Steve Waters, Colchester CC and is from Shotley to the Orwell Bridge.